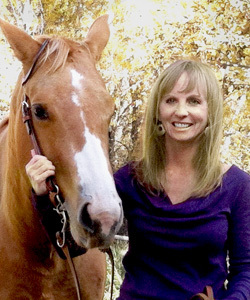 Leslie was born and raised in Denver, Colorado with a love for both animals and ranch life. She graduated from the University of Colorado, Boulder where she double majored in Biology and Spanish. Leslie’s studies brought her to a year long exchange program attending the University of Costa Rica in order to study the wildlife and language of the region, evidence of her love for travel and culture. Leslie has worked in every supporting role at Cody Veterinary Hospital and it is her passion for the animals and the clientele that has kept her here for over twenty years. When she is not working at Cody Vet, Leslie enjoys spending time with her husband Bob, their two daughters, close family, and friends. Leslie’s oldest daughter, Caitlyn, currently attends the University of Wyoming while her youngest daughter, Gabrielle, attends Cody High School and is an avid dancer. Leslie often uses her weekends to spend time with her daughters riding their horses and supporting their many extracurricular activities.